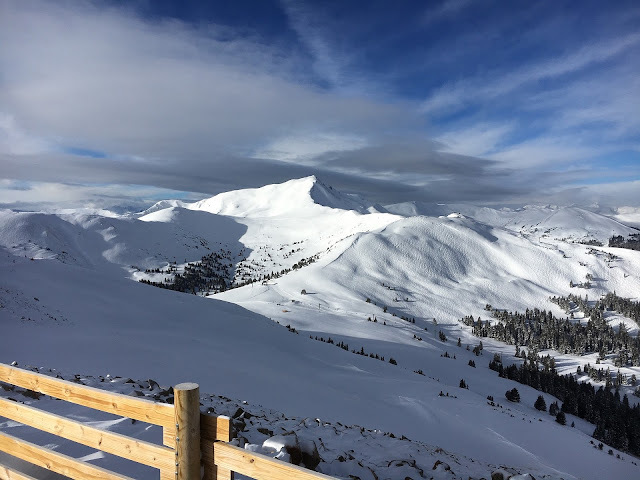 Copper Mountain was referred to as the best ski slope in “North America” by the US Forestry Service, for its amazing resources and ability to cater for beginner, intermediate and expert skiers. Based only 120 KM from Denver airport and with 160 metres of pure skiing fun, Copper Mountain is the only place to go skiing in America. With a 3 Kilometre base and a summit of nearly 4 kilometres, it is no wonder the slope is big enough to handle over 30,000 visitors on a monthly basis. With twenty-two lifts, the Copper Mountain is renowned for its 6 men high-speed lift, 5 doubles, 5 triples, surface chairs, quad lifts, tubing zone and even quad lifts that can travel in excess of 40 kilometres per hour. The upper lifts close at 1500 every evening, meaning you get 30 minutes to complete your last run before your day's skiing is over. Opening at 9am in the morning Monday to Friday there is no excuse for not getting an early start. At the weekends the lifts open around a half an hour earlier, making it much easier to fit more skiing into your day. In total Copper Mountain covers two and a half thousand acres, and stands nearly 800 metres tall. With 125 trails in total, 18% cater for expert skiers, 36% for advanced skiers, 21% for beginners and 25% for intermediates. The snowfall in Cooper Mountain is also something to be reckoned with; the total snowfall from November to April of 2005/2006 (!) was 283.58, with March appearing to be the best month for snow. Although April to November provides the best snow, Copper Mountain also has an avalanche machine keeping the slop active for around 12 months in the year. This machine works by releasing a gas that turns water into snow. The machine provides genuine powdery snow that can even be altered to be icier, or softer to meet the needs of the skiers. The Copper Mountain is set to be active for 12 months of the year, as of some point in the next two years, whilst plans are also unveiled for an indoor facility. The massive success of Copper Mountain is said to be partially attributable to hosting world snowboarding events, and also offering other activities such as snow tubing which is becoming increasingly popular, as well as snowshoeing, hiking, biking and snowmobile vehicles. When I last visited Copper Mountain major regeneration work had just begun. They had started re-building the lift, there were hotel and lodging developments, and they have even started investing in real estate. 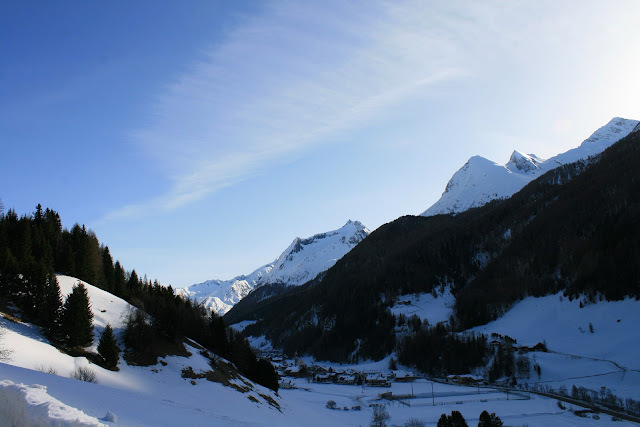 From what I understand you will be able to buy a property overlooking the amazing slopes in a small amount of time. They had also seen the importance and the market that exists for training skiing. When a facility has the best training facility, new skiers are more likely to come along, learn how to ski at Copper Mountain and then come back year after year. They have built a complex that will house and support their training team, and they intend to offer lessons for a great price to encourage people to learn how to ski at Copper Mountain. Copper Mountain is also home to freestyle snowboarding facilities which are becoming increasingly with teenagers looking to get started in winter sports. The snowboarding facilities include ramps, half-pipes, jumps and runs, whilst also being flood light, allowing the facility to operate much later than when the lifts stop functioning. If you have never been to Copper Mountain then you will soon realise why it is rated as the best Skiing facility in America. Did you know that many film scenes have been completed on this mountain? It may also surprise you to know that this is usually completed when there is no snow on the mountains, and an avalanche machine generates snow in the absence of any skiers or tourists. Sometimes ago, I went on a skiing vacation to France and had a great time by all accounts. The best part was that I went with all my friends, all of which had varied abilities, but we're all eager to give it a go. Some of my friends compete in competitions and the like, whilst others have only been on the slopes a few times in their life. The fact is that we were all really looking forward to it, and we were all sure to enjoy ourselves whilst we were away. Unfortunately, we don’t spend much time together, as we all go to different colleges, whilst others are trying to make it through the rat race. When we decided to book the holiday I was delighted to hear that everybody was able to make it and that everyone had promised to save up enough money to really enjoy themselves while we were away. The cost of booking the holiday worked out at around $300 for accommodation for the week as we were going to be staying at a backpacker’s location, and it was only going to cost $150 for return flights. We really felt like we had struck a bargain, and we were even more delighted when we heard that the cost of living would be really cheap when we got there. We had decided to save up $1000 each, which meant that we would have more than enough spending money for when we arrived. I have to say, I never quite expected Europe to be such an excellent skiing destination for people like us with mixed abilities. Sure, there are the Alps, but I thought these were only the playground of the expert skiers. How wrong I was! There are simply loads of different places in Europe you can go, regardless of your skiing ability, and you’re almost guaranteed to have a great time. Also, the facilities right on the resorts are out of this world. It really is a great place to go skiing. We arrived in France, and we were firstly shocked at how laid-back it all seemed. It was some surrealist painting, except in motion, with strange, stereotypically French characters passing by. Regardless of this initial culture shock, we soon got our skis on and experienced the awesome slopes for ourselves. Trust me - France is a great place to go skiing with your friends, and a great place to go on a vacation if you’re looking to have a good time. We chose France for our vacation, but there are loads of great European ski resorts, and in fact, some people even say that Europe is the home of the sport, and it is easy to see why. If you’re looking for a great time, go for Europe, to experience a wholly different way of life, and skiing that is simply second to none. Check out your travel agent for good deals, and remember that the more flexible you are, the cheaper your holiday. By booking up the flights at the last minute, you can end up saving loads with some of the budget airlines, and by being totally flexible, you can avoid peak times, which means you can avoid peak prices. Your vacation in Europe doesn’t have to cost the earth, but it can be a once in a lifetime experience that you will never forget.